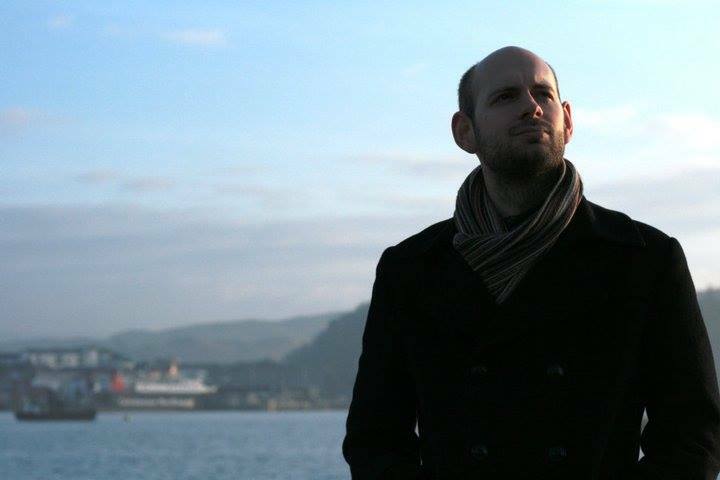 Dr Malcolm Harvey is a lecturer in Politics at the University of Aberdeen. He has published a number of articles and book chapters related to devolution and constitutional change in the UK and the Scottish independence movement. In 1993, Alain Gagnon and Guy Laforest asked “Does federalism have a future beyond bipolarity in the globalised world of late modernity?” (Gagnon and Laforest 1993). In a paper focused on Canada and Quebec, the authors noted the centrifugal forces which had dissolved the federations of Czechoslovakia, the Soviet Union and Yugoslavia. Twenty-one years later, similar tensions in the United Kingdom (UK) – not a federal state – led to a secession referendum in Scotland. While voters rejected independence in favour of remaining in the UK constitutional change remains on the agenda. The UK’s devolved system of governance was established in 1999, but with qualifications stipulating the sovereignty of the UK Parliament over the devolved institutions. Nevertheless, some consider the UK a “quasi-federal” system (Bogdanor 2001; Flinders 2010; Gamble 2006). But how much further along a federal path could the UK travel? And is such a solution a viable means of providing effective governance while maintaining the integrity of the UK as a multi-national state? The UK remains de jure a unitary state, with an uncodified constitution based upon the principle of parliamentary sovereignty, the principle that laws passed by the UK Parliament carry precedence over all other state institutions. Parliamentary sovereignty has historically played a substantive role in political debate in the UK, with foundations in the battles between the crown and parliament in the English Civil War in the mid-seventeenth century to the present day discussions about the UK’s relations with the European Union. Legally the UK holds true to the principle of parliamentary sovereignty, at least in theory. In practice, the last century has seen significant change to the UK’s constitution, and relations both internal (between the component nations of the state) and external (between the UK and the EU, which it joined in 1973) have played a significant role in altering the extent to which parliamentary sovereignty remains “the bedrock of the British constitution.” (UKHL 2005). The argument is that the principle remains in legal theory but in practice, particularly given the political constraints not only of party politics but also of multi-level governance, the UK has de facto become a decentralised polity. The UK Parliament retains the theoretical sovereign power to dissolve any of the devolved institutions it has created, but (and, particularly since those institutions were delivered by a popular mandate through referendums) it is constrained politically. As a consequence, there is potentially scope for further loosening of the principle of parliamentary sovereignty, making federalism a viable – if unlikely – option for future constitutional change. To consider the question of whether federalism is a workable solution for the UK we need to consider three related questions: why consider federalism, how would federalism operate in the UK, and would federalism answer the constitutional questions facing the UK at the present time? ‘Federalism involves two central principles: a formal division of sovereignty between two levels of government; and a guarantee that the division of powers between the federal government and sub-state governments cannot be altered without the latter’s permission’ (Convery, 2016). Thus, moving to a federal system in the UK would require the removal of the UK Parliament’s sovereignty over the devolved institutions and the entrenchment of those institutions. This would provide those institutions with a further measure of legitimacy, a permanence within the UK system of governance and, crucially, a constitutional guarantee of their powers. In some senses, this would be a mere symbolic move – it is difficult to imagine any circumstance in which the UK Parliament would dissolve the devolved institutions (though the rather different circumstances in Northern Ireland do provide a counter-argument here) given the political cost associated with such action. Indeed, the fact that the institutions were established after referendums in the specific territories, providing a clear demonstration of public support for their existence, strengthens this perception. Nevertheless, symbols are important, particularly in matters of identity, and if sovereignty were to be formally divided between Westminster and the devolved institutions, such a gesture would recognise the UK as a plurinational state and help to accommodate the cultural differences between the component nations. There is a clear Conservative attachment to the Westminster model of governance – and, in particular, the doctrine of parliamentary sovereignty. 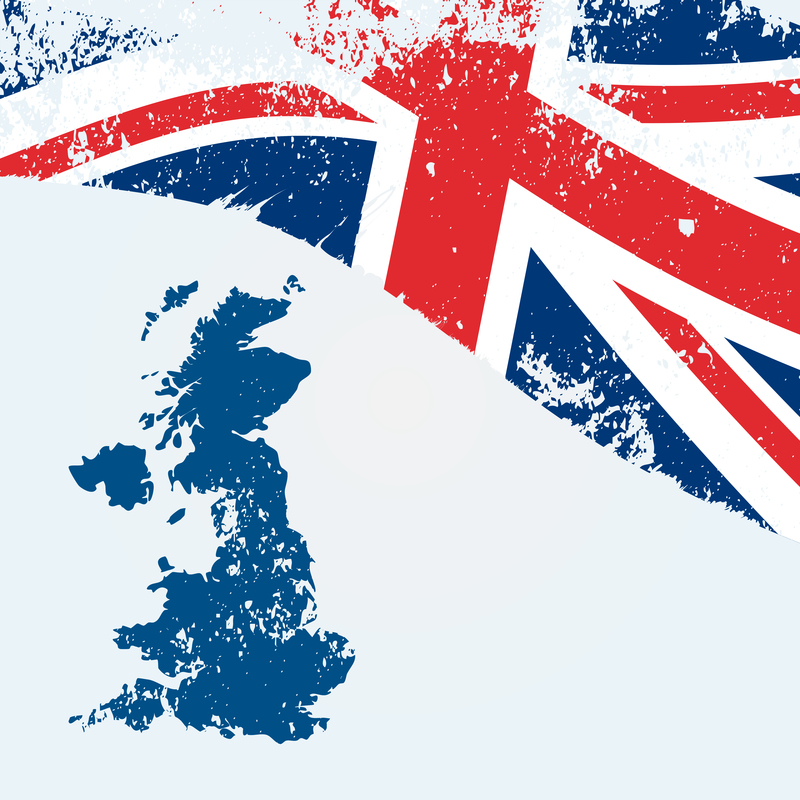 Recently however, Conservative parliamentarians in Wales (David Melding AM) and Scotland (Murdo Fraser MSP), have considered in more depth a Conservative plan for a federal UK. David Melding in particular – a pre-devolution cynic about the very idea of decentralisation – has a long-stated belief in the idea of a federal UK. He argues that Conservative attachment to the principle of parliamentary sovereignty is detrimental to devolution, and to the cause of Unionism (Melding, 2013: 14). For Melding (Ibid), gradual changes to the centre would include the House of Lords evolving into a federal chamber with equal representation for each of the UK’s component nations and a distinct process for “English-only” legislation at Westminster as a temporary measure, before devolved English regional institutions or an English Parliament could be established. Melding has federalism as both his guiding principle and his fundamental objective, but his proposal, at least in the short term, simply recognises the current system of devolution and adapts the centre to provide a more effective means of intergovernmental relations. Labour’s thinking on the constitutional question was informed by trying to achieve a balance between the democratic principles of subsidiarity – allowing decisions to be taken at the most appropriate level of governance – and their commitment to the ‘Social Union’, the delivery of welfare at the same level across the UK. Party interest was also served by the recognition that, in spite of their landslide victory in 1997, they could not maintain that level of support forever, thus creating regional level institutions would allow the party to retain power in historic heartlands of Scotland and Wales even when they lost power at the centre. During 2014’s Scottish Independence referendum, Labour’s Unionist credentials were tested when much of their historic support defied the party line and voted in favour of independence. After the referendum, while the Conservatives posited change at the centre in the form of EVEL, Labour’s proposals focused on regional answers, devolving some powers to city regions, evidence again of party interest playing a role in constitutional policy (Fenwick, 2015: 14). Officially the Liberal Democrats are committed to federalism. The Liberal Democrats’ constitution not only proscribes a federal structure for the party – dividing power between the UK-wide “federal” party and “sub-federal” parties in Scotland, England and Wales – but also as the basis for a future UK constitutional settlement. However, as Evans (2014: 350) notes, this official position only tells part of the story. Organisationally, the lack of devolution in England has led to an “interchangeable relationship” between the English Liberal Democrats and the federal party. [7 The internal structure of the Liberal Democrats offers a microcosmic example of the potential dominance of an English state in the context of a federal UK, and gives succour to the arguments of Hazell and Bogdanor who warn against such an outcome. Is federalism the right answer? Whether federalism is the right solution to the UK’s current constitutional dilemma depends upon which particular question you are trying to solve. If the question regards the permanence of the devolved institutions and their relationship with the centre, then a federal structure would have the potential to deliver. However, this permanence could be achieved through extension of the current system of devolution, without recourse to a federal structure. This would, however, preserve the absolute sovereignty of the UK Parliament over the devolved institutions. Similarly, if the question is simply about extending the powers of the Scottish Parliament and the National Assembly for Wales in the wake of the 2014 independence referendum, this would not require a federal UK. There is, however, one fundamental question which federalism could help to alleviate: the West Lothian Question. No solution was forthcoming during the devolution debates of the 1970s and even with the establishment of devolved institutions in 1999 the issue, although mitigated slightly by the reduction of Scottish MPs, was not resolved. Twice, under the premiership of Tony Blair, the substantial number of Labour MPs from Scotland and Wales were utilised to deliver legislation on top-up tuition fees and foundation hospitals which would apply only to England and not, given the areas of health and education are devolved, to their own constituents. EVEL is the current UK Government’s answer, and would appear to fit the bill as a solution to the West Lothian Question, but in so doing, it creates several more issues: the creation of two classes of MPs, the problem of identification of “England-only” issues and the weakening of the UK Parliament as a body which legislates for the whole of the UK. The adoption of a federal system on its own would not solve the West Lothian Question. However, if such a system was established in tandem with a devolved legislature (an English Parliament) or legislatures (regional assemblies) with responsibilities for devolved issues, while at the same time maintaining the UK Parliament as a UK-wide body, then this issue would be solved. However, there are two clear problems with this solution. The first is the widely recognised “size of England” problem. An English Parliament with the same powers and functions as the devolved Scottish Parliament would rival the current UK Parliament, perhaps to the point of fundamentally weakening the centre, thereby negating the desired effect of accommodating plurinational differences within a federal structure. The second is the issue of public opinion. The proposal to establish a further level of governance in England – whether this is at the national or regional level – has limited support. Devolution was delivered to Scotland (and, to a lesser extent, Wales) as a result of clear bottom-up pressure for a political institution. Further pressure has seen more powers devolved. The same demand simply does not exist in England. Indeed, when regional governance was offered (albeit, in a less substantive form than to Scotland and Wales) to the North-East of England in 2004, it was resoundingly rejected by voters. While regional assemblies made sense to the then-Labour government as a means of delivering a more rounded constitutional settlement, they were widely seen as an unnecessary level of governance and a top-down imposition Nevertheless, the problem of devolved governance for England remains. Hazell (2006: 37) described the UK as a union “that works in practice but not in theory”. And while the “practice” of governance in the UK has been tested in recent years with partisan vertical incongruence (since 2010, no party in the UK has been in government at both UK and devolved level) there is a sense that, whatever barriers appear to be in place, actors find a way to operate within the structures they find themselves in and the system simply works. When Tony Blair’s government entered office in 1997 and embarked on constitutional reforms, the program became the “most radical constitutional change” in the UK since the Great Reform Act of 1832 (Bogdanor, 2001: 1) While these reforms were not intended to lead to a federal UK, the model of asymmetric devolution adopted did move the UK in the direction of federalism – and, indeed, led to some describing it as a “quasi-federal” system (Ibid). However, there remain significant barriers in place to a fully-fledged federal UK. Quite apart from the significant problem of geography, numerous issues outlined above, including the attachment to parliamentary sovereignty and Euroscepticism, contribute to the likelihood that, while federalism may continue to inform constitutional change in the UK, it is unlikely to be adopted outright in the immediate future. The arguments for devolution first surfaced in debates about Home Rule for Ireland in the 1880s. One hundred and thirty-five years later, some of those debates are no closer to being resolved. If that record is anything to judge by, we may be no closer to a federal UK by the end of this century. Bogdanor, V. (2001) Devolution in the UK. Oxford: Oxford University Press. Convery, A. (2016) ‘British Conservatism and Federalism: A Step Too Far?’ in British Journal of Politics and International Relations (forthcoming). Evans, A. (2014) ‘Federalists in name only? Reassessing the federal credentials of the Liberal Democrats: An English case study’ in British Politics, 9(14). Fenwick, J. (2015) ‘The problem of sub-national governance in England’ in Public Money and Management, Vol. 35, No. 1. pp7-14. Flinders, M. (2010) ‘Constitutional Anomie’, Government and Opposition 44(4): 383-409. Gagnon, A-G. and Guy Laforest, ‘The future of federalism: lessons from Canada and Quebec’ in International Journal, Vol. 48, No. 3, 1993, pp470-491. Gamble, A. (2006) ‘The Constitutional Revolution in the United Kingdom’, Publius 36(1): 19-35. Hazell, R. (2006), The English question. Publius: the Journal of Federalism, 36(1): 37-56. Melding, D. (2013) The Reformed Union: The UK as a Federation. Cardiff: Institute of Welsh Affairs. Tierney, S. (2009) ‘Federalism in a Unitary State: a Paradox too Far?’ in Regional and Federal Studies, 19:2. Tierney, S. (2015) ‘Towards a Federal United Kingdom? Lessons from America’ in Political Insight, Vol. 6, Iss. 2 pp. 16-19. UKHL 13.10.2005 56  (Regina [on the application of Jackson and others] v Attorney General) (Lord Bingham). Tierney, S. (2015) ‘Towards a Federal United Kingdom? Lessons from America’ in Political Insight, Vol. 6, Iss. 2 pp16-19.